Do you ever get the feeling that a car is looking at you? I think this one winked at me when I parked near it. "I think the eyes flirt most. There are so many ways to use them." 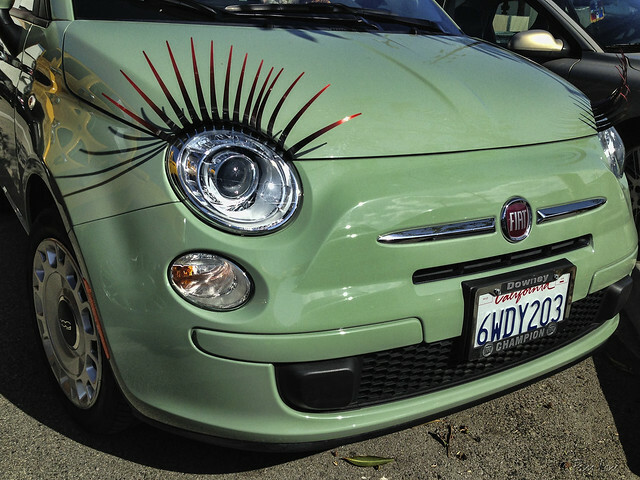 I seriously want a fiat! Cute. I met a car just like this one a while back. a very flirty Volvo Amazon. You can find her on my Haninge blog.